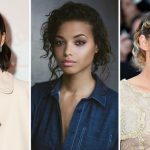 Kristen Stewart, Ella Balinska and Naomi Scott will star in the reboot of Charlie’s Angels, directed by Elizabeth Banks. Josh AtkinsJosh is a huge a fan of Star Wars, superheroes and video games. He spends most of his time wondering who would win in a fight between Boba Fett and Star Lord.